Your down payment cannot be greater than the price. This is not an offer for credit and should be used for estimation purposes only based on the information you provided. You should not base your decision on this estimate alone. Title, registration, tax and other fees, and personal circumstances such as employment status and personal credit history, were not considered in the calculations. Raise your expectations, not your price range. 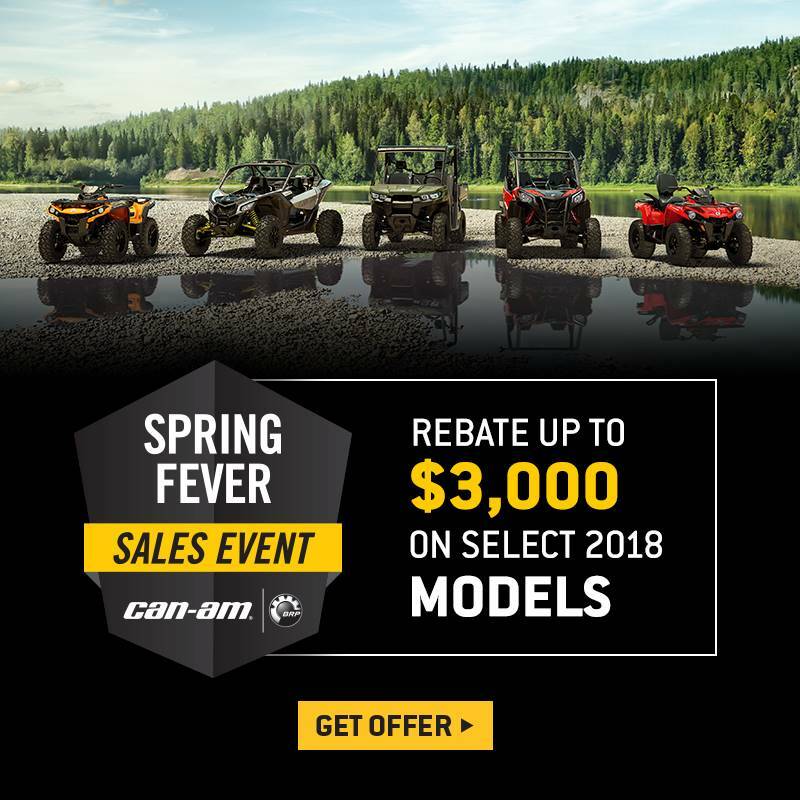 Get the all-terrain performance you'd expect from Can-Am at the most accessible price ever. CATEGORY-LEADING PERFORMANCE: Select from either a 38-hp single-cylinder, liquid-cooled Rotax 450 four-stroke or a 48-hp, eight-valve, liquid-cooled SOHC Rotax 570 V-Twin. The proven Rotax engines offer unmatched power and performance while remaining both reliable and efficient. TORSIONAL TRAILING ARM INDEPENDENT (TTI) REAR SUSPENSION, ELIMINATES SCRUB AND CAMBER CHANGES: The industry's only independent rear suspension where the rear wheels pivot up and down in a vertical line rather than a more cumbersome butterfly motion. It is also strategically designed to offer point-and-shoot handling, optimal traction and the efficient transferring of power to the ground. With 5 preload settings on the shocks and 8.8 in. (22 cm) of suspension travel, the Outlander soaks up rough terrain to keep the rider comfortable and focused on the trail. DOUBLE A-ARM FRONT SUSPENSION: Includes dive-control geometry for better cornering and vehicle-braking dynamics. The 9 in. (23 cm) suspension travel increases trail comfort and capabilities in rough terrain. 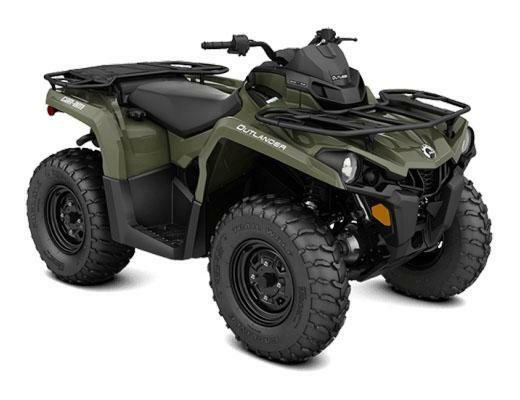 VISCO-LOK AUTO-LOCKING FRONT DIFFERENTIAL: The Can-Am Visco-Lok system is one of the most riderfriendly designs on the market, as the progressively and automatically locking front differential system requires no buttons to push or levers to hold. Once 4x4 is selected, the system intelligently transfers power from the slipping front wheel to the opposing wheel with traction and is not hampered by a speed or rev limiters. 1,300 LB. (590 KG) TOWING CAPACITY: Fully equipped to move a load, the Outlander has a standard rear hitch plate and a large 1,300-pound (590 kg) towing capacity.